"Warren Adler writes with skill and a sense of scene." -The New York Times Book Review A new thriller from the critically acclaimed novelist Warren Adler, well known for his iconic novel turned box office hit, The War of the Roses, and many more notable titles including Random Hearts, Target Churchill and Trans-Siberian Express... Milton Gold is a fringe operating "hustling lawyer," barely making it in the cutthroat chaos of 1970s New York City. His world is suddenly turned inside out when he meets the mysterious and beautiful Karla Smith, a Polish-American woman, who approaches him with an assignment that will test his skills beyond anything he has ever experienced. 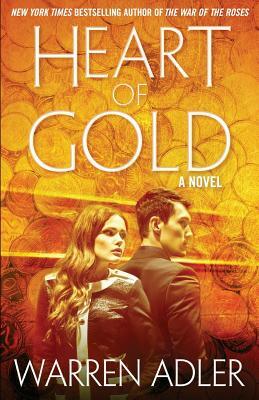 Karla hires him to find what he thinks will lead to his biggest payout yet: her inheritance of one-hundred million dollars in gold coins hidden by her banker father from the Nazis during World War II. Despite his skepticism he joins Karla in a fantastic, dangerous and adventurous trek through communist dominated Europe to Auschwitz where the treasure has been hidden in an unsuspecting place. Milton and Karla discover things along the way that profoundly change their relationship and ultimately test their moral view of the world and society. Balanced with humor and tragedy, Heart of Gold explores the brutality of life behind the iron curtain and the boundaries of morality during the darkest days of the Cold War.